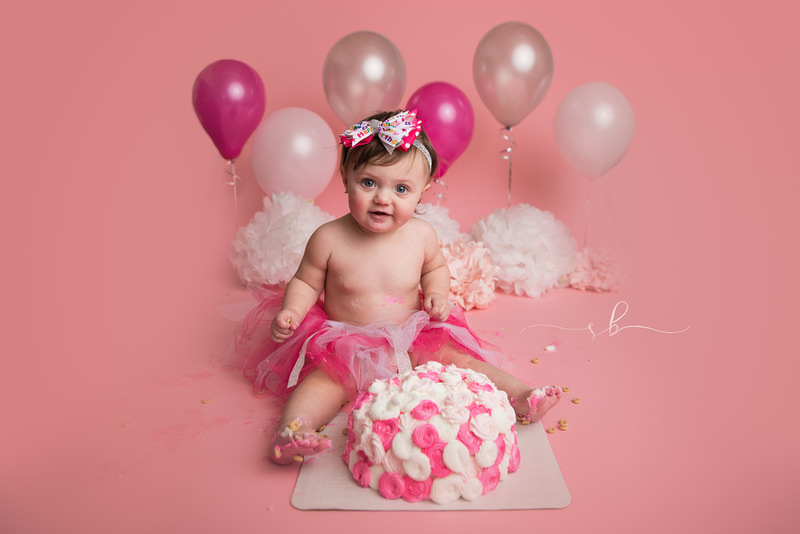 First birthday and cake smash session on location in Twin Cities, Minnesota. Aurora came back to see me in my North Saint Paul, MN Studio for her 1 year photography session. Ive been seeing Aurora through out her first year for her milestone portraits. She was a rock star for her newborn and 6 month sessions.. but she wasn't as happy with me when her 1 year session rolled around. 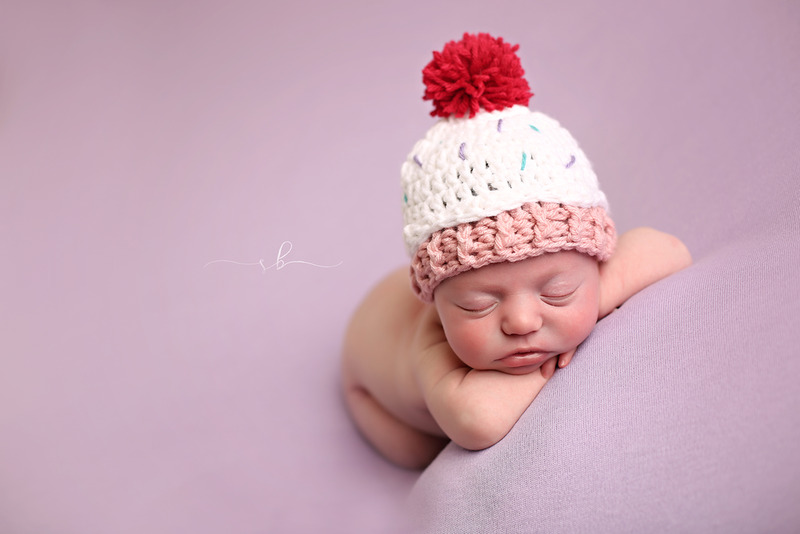 Cranky baby sessions can be so stressful for parents! I always feel so bad when parents leave feeling thinking their baby gave me nothing to work with. But I have a secret... I ALWAYS get images that make your baby look like they were having a just fine time while they were getting photographed. Well.. at least 99% of the time ;) I rarely have to ask a baby to come back.. its happened.. but its rare. I also want to share some images from her "rockstar" session too! Because they are adorable and you all must see how much she's grown this year =) Check them all out below! 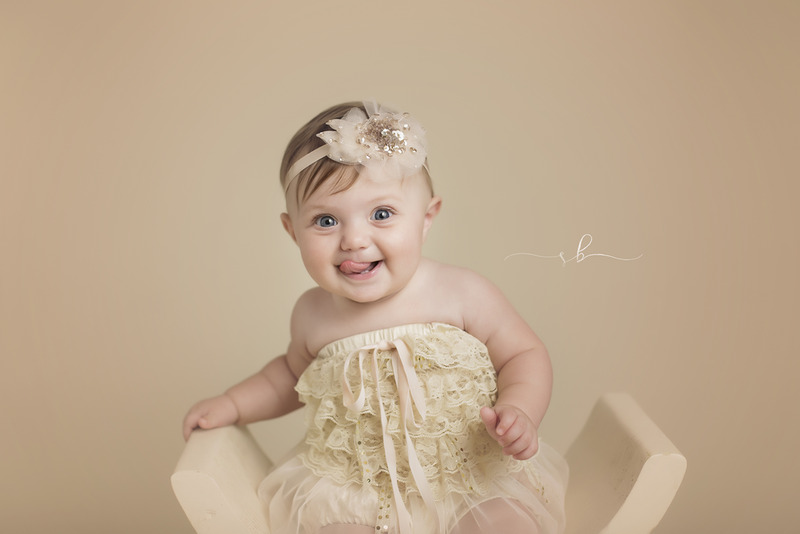 Aurora couldn't keep her tongue in her mouth at her 6 month photography session! The start of Aurora's 1 year session! All smiles at first! I am glad that she arrived in a good mood because this smile of hers is AMAZING! Happy Birthday Aurora!! 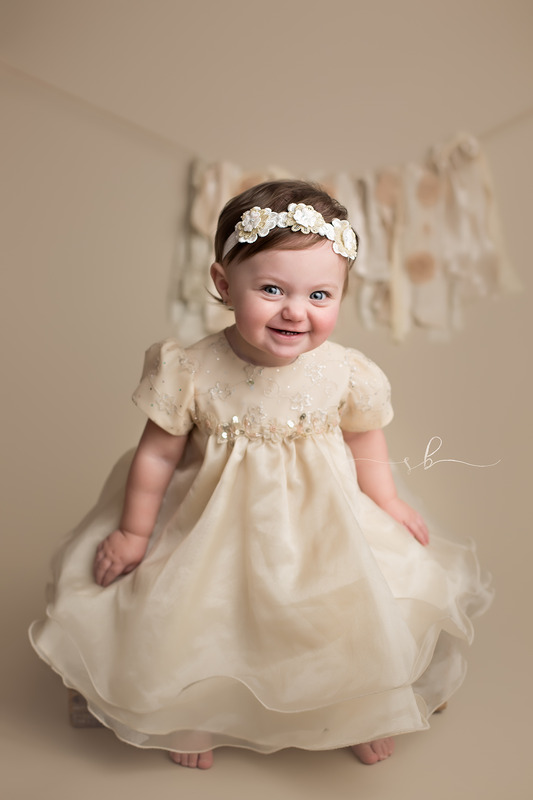 Are you ready to schedule a session for your 1 year old? Click here to send me a message! Make sure to head over to my Facebook page and give it a LIKE!